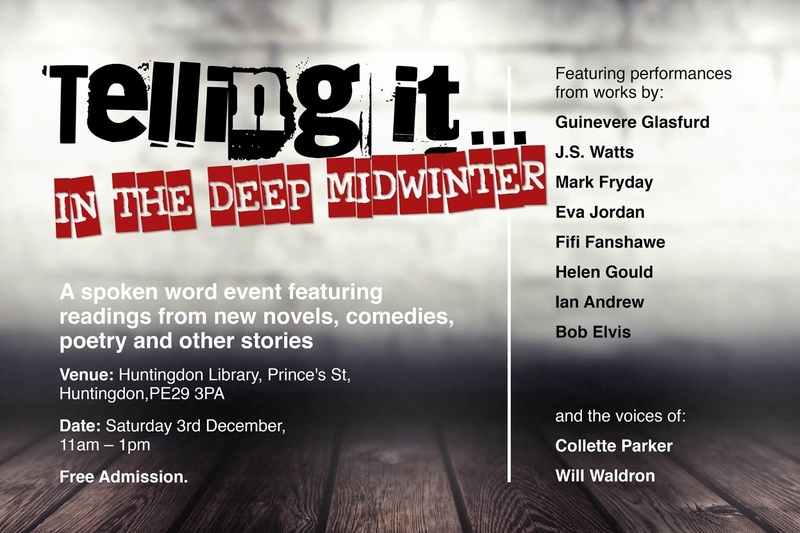 The "Telling It..." series of spoken word events is back and this time a fine selection of writers and actors, including J.S.Watts, are performing winter / Christmas themed readings at Huntingdon library from 11am on 3rd December. Books will also be available for sale so this is a great opportunity to get in the Christmas mood and make a dent in that Christmas shopping. Hope to see you there!